Tsunami /(t)soo'name/ orgininated from Japan because every 100-150 years a Tsunami occurs. 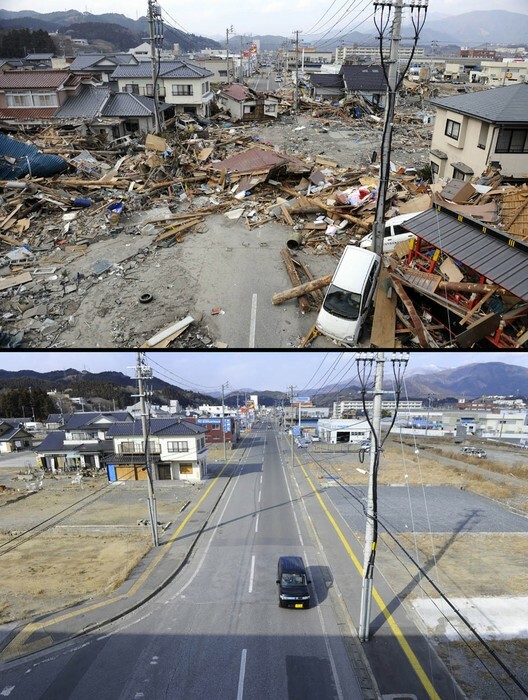 March 11, 2011, Japan had a striking 30-foot wave wash over their prized home that contains 6,852 islands and killed the body amount of 15,893, this death toll was confirmed October 9, 2015. This series of killer waves left 9,500 people unaccounted for on Minamisanriku on the Japanese East coast. Tohoku disturbed cities such as Honshu with a 6.3 magnitude,Nagano and Niigata with a 6.2 magnitude. Not only did this "Wave Train" hit Honshu with a 6.3 magnitude, it moved this main island by 8 feet and shifted Earth on it's axis. Before this "Wave Train" left the station, a 8.9-9.0 magnitude, classification "Great" Earthquake shook the Northeast coast of japan, disturbing a 500-kilometer long fault zone,while being 130 kilometers away from Sendai and had a shallow depth of 32 kilometers in Honshu. By the time Tohoku made it's way through Japan, the earthquake had been 231 miles from Tokyo, the capital of Japan. This 30-foot wave crashed into Honshu and moved it by Eight feet and shifted Earth on it's axis by 10 centimeters (4 inches). 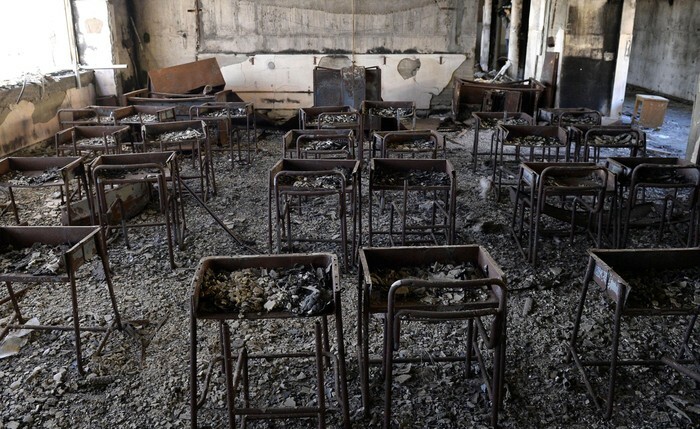 In Tokyo time, people hid in abandon buildings such as schools. Up to 700 people were found in a elementary school and 1,200 people in a junior high school closer to shore. An unknown newspaper states that over 500 people where found stranded on a public school roof top. By Saturday, over 100 of those people where saved by Japanese Defense Forces and Firefighters. 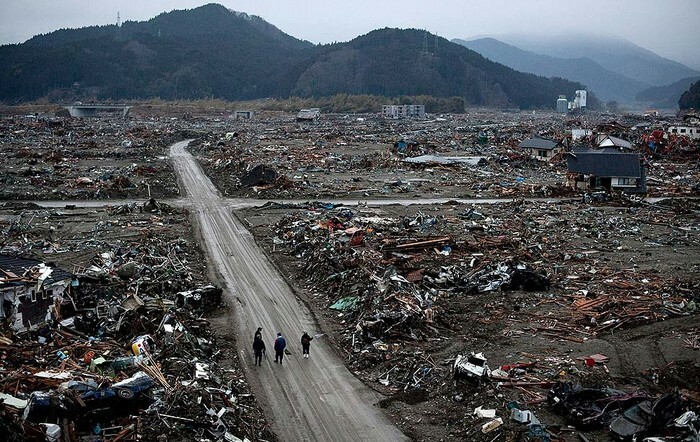 On March 12, 2011, a 6.2 magnitude aftershock shook Honshu at a 6.3 magnitude. Then went on to Niigata and nagano at a 6.2 magnitude. While civilians where being evacuated, a nuclear emergency is being reported at Fukushima Daiichi plant. Soon after an aftershock hits Honshu, Industrial Safety and Japanese nuclear announces a radiation close to the plants main gate, which is over the normal level by eight . 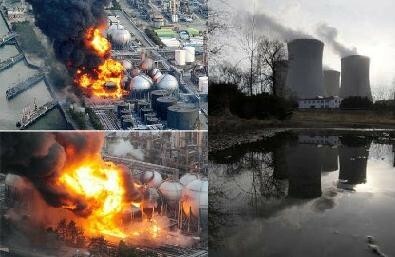 Millions are without water and 60% of Japanese homes are without electricity because Fukushima Daiichi plants are failing. 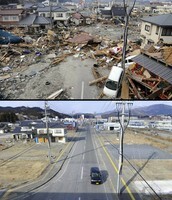 Japan must have bad luck or karma but it may just be pure coincidence because the word Tsunami originated from Japan. This word came about because of the occurrences that happen every 100-150 years, which is a little odd considering how much we hear on social media about these brutal waves. 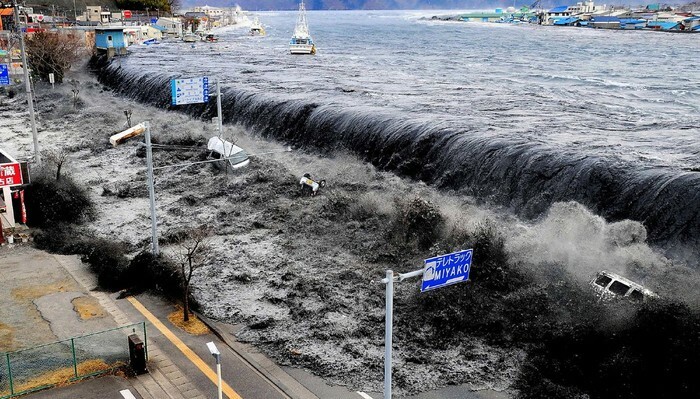 Japan isn't the only place that has the "Wave Trains"', other places in "The Ring of Fire" have tsunami occurrences. These places consist of New Zealand, up northwest heading towards Indonesia, taking a way to New Guinea and Papua and all the way to the Northeast Asia coast, North American coast, and along the Western coast of North America. It's called "The Ring of Fire" because of the high volcanic activity. There are ways to prevent getting swept up in the deadly waves of the deep ocean. One thing I would suggest is if you are going on vacation, do your research on the risk of Tsunamis in that area first. Will this prevent a Tsunami from occurring, probably not because last time I checked, no one was Poseidon, a Greek god who ruled over the sea, water and many other things. Another suggestion is to have a watch tower built to watch the water that surrounds islands and countries, this would most likely give you a head start on reaching higher ground. The worrying question with this second suggestion is "If the Tsunami is at a 7.0 magnitude or higher, what are we going to do?" That's really the only thing I would be worried about. For now, let's just hope nothing else hits Japan or any other place at risk like Tohoku, the Wave Train that struck Japan did on March 11, 2011, a terrifying day that will be remembered for all.